The safety and comfort of your baby are vital. And choosing the best crib mattress is a perfect way of achieving that. But there are many different styles, colors and sizes on the market, something that makes it both fun and difficult purchasing the one you feel is best for your needs. So what’s the best way out? This article reviews the best crib mattresses that will make your newborn comfortable, strong and healthy. 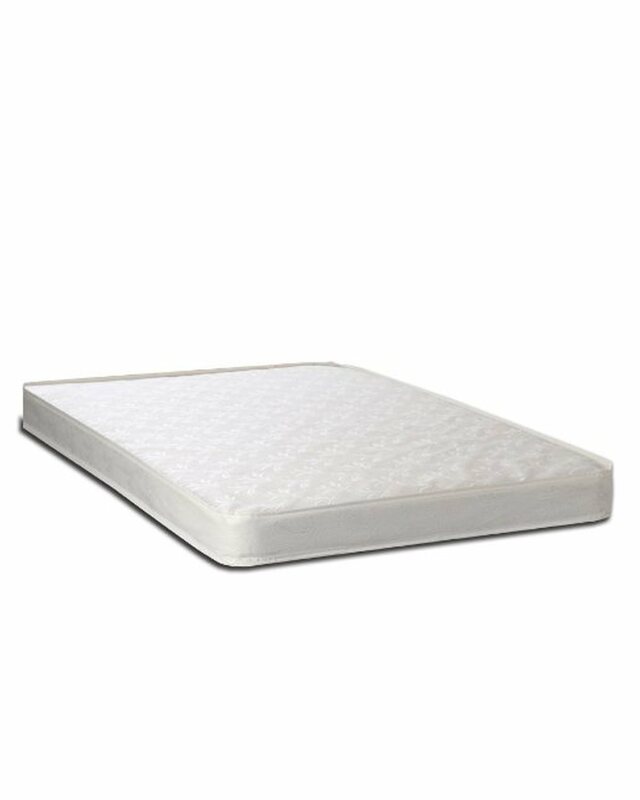 "Among Crib Mattress, Ventilated Foam Mattress because this mattress provides a cushioning support designed to conform to the natural body contours of your child. It’s ventilated to facilitate airflow and provide easy temperature regulation during sleep." "Among Crib Mattress, Heavenly Dreams Mattress is crib mattress sports a high-density thermo-bonded core made of a strong fiber material. The cover is made of waterproof vinyl." It’s only natural for some to be skeptical about our reviews. This is because some reviews provide information that are quite misleading. However, we’ve done all we can to provide useful and reliable information. I have a team of three other experts who have over 7 years of experience researching and writing about baby products. We’ve subjected each crib mattress to extensive manual testing to ensure that we get the best for your needs. Therefore, be assured that the products we recommend are one of the best that the market has to offer. Before knowing the best crib mattresses on the market, it would be good to first know the different types of crib mattresses. This will help so much when trying to get that ideal mattress for your newborn. Below, we discuss the three major types of crib mattresses. As the mane suggests, this type of crib mattress has inner spring layers made of steel. The mattress sports multiple layers and the quality of the springs vary depending on the type of gauge used. Innerspring mattresses are heavy and tend to weigh more than 15 pounds. These mattresses are made from polyurethane. You have the option of choosing between the typical foam mattress and the memory foam mattress. Foam mattresses are a lot lighter than innerspring mattresses weighing up to 12 pounds. Just from the name, this type of crib mattress is made from organic materials, such as plant oils. It’s a great choice for those looking for a safe, environmentally-friendly crib mattress. They are the most expensive type of crib mattresses. A new crib mattress on the other hand gives the best quality, though it’s more expensive. It’s healthier and gives you more options to explore as the market has hundreds of models to choose from. And it’s actually more fun getting a new crib mattress – something that looks more refined. Thermo-bonded core provides long-lasting firm support. Safety 1st is a leader in child safety products. One of it’s specialty’s is the manufacture of crib mattresses. This brand has a long line of models that have become popular with customers across the world. Heavenly Dreams White Crib Mattress is one of its most trusted models. This is a high-density mattress that provides plenty of firm support that keeps the baby safe and comfortable. * Materials: This crib mattress sports a high-density thermo-bonded core made of a strong fiber material. The cover is made of waterproof vinyl. * Level of Comfort: The foam core provides a firm support for newborns and a body-hugging comfort for toddlers. * Safety: The mattress has a hypoallergenic surface free of phthalates and lead and is GREENGUARD CERTIFIED. * Size: The mattress measures 52.5 inches long by 27.5 inches wide, a size that fits standard cribs and toddler beds. * Thickness: The mattress is 5.5 inches thick. * Weight: This crib mattress has a lightweight construction of 6.4 pounds. * Weight Limit: The mattress supports children weighing up to 50 pounds. This crib mattress is designed for newborns and toddlers. 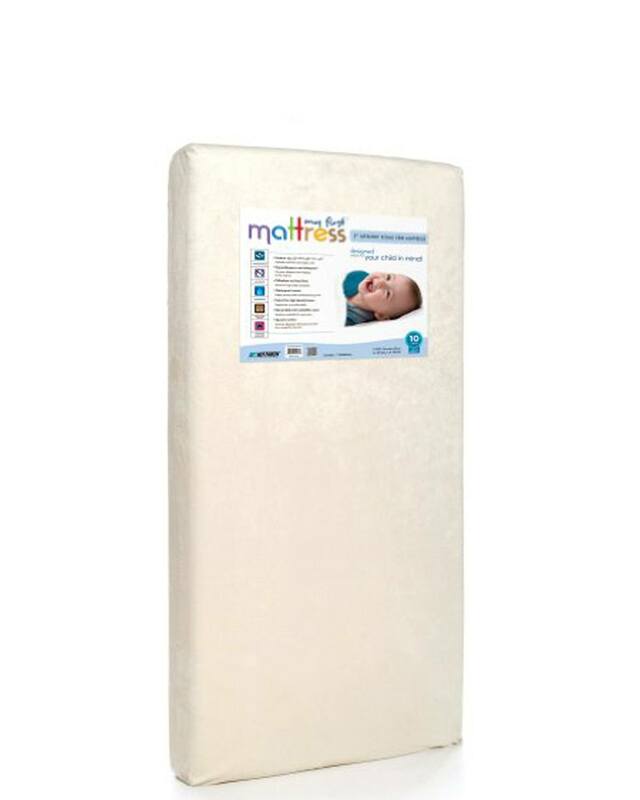 The mattress last’s throughout your child’s development. It’s an excellent choice for parents looking for a crib mattress that provides a firm, long-lasting support. The mattress has a lightweight construction that is easy to move around. Easy to clean by wiping with a damp cloth. Cover is resistant to tear and stains. 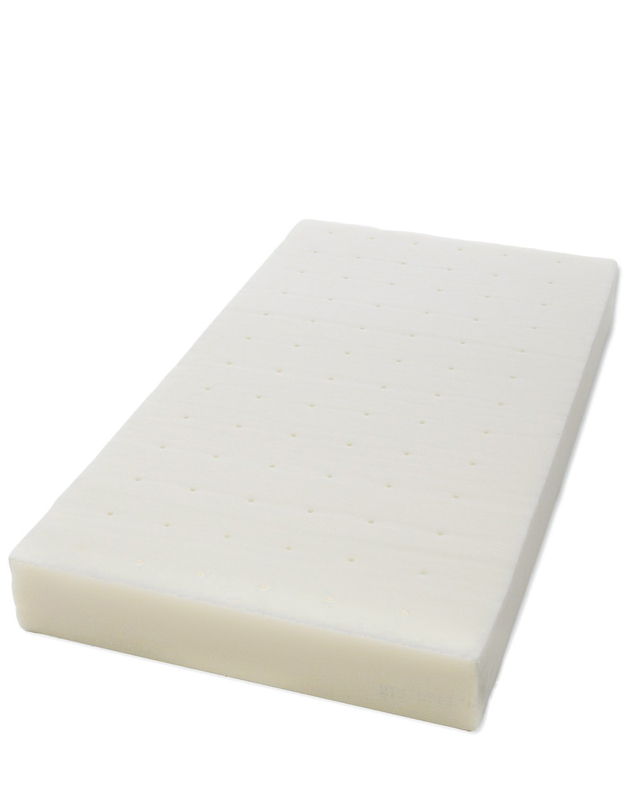 The mattress uses a typical polyurethane foam. Make sure the mattress is evenly spread to eliminate any dents. Ensure you put the cover to provide maximum protection. Clean only the cover. It’s quite easy since all you have to do is just wipe it clean with a damp cloth. My First Mattress is a popular brand with many parents. This is a brand dedicated to ultimate customer satisfaction – something that is reflected in its mattresses. Premium Memory Foam Infant Crib Mattress is a quality model that stands true to the brand’s reputation in the world of crib mattresses. * Materials: The mattress is made of 100-percent high-density elastic memory foam. The cover is made of a waterproof velvety material. * Level of Comfort: The mattress provides an extra-firm yet comfortable support suitable for infants. * Safety: The mattress is hypoallergenic, mite-proof, anti-microbial and free of phthalate and lead. It’s CertiPUR-US certified and meets/exceeds federal flammability standards. * Size: This crib mattress measures 51.6 inches long by 27.2 inches wide, a size that fits most standard cribs. * Thickness: The mattress is 5 inches thick. * Weight: The mattress weighs at 9.4 pounds. * Weight Limit: Though not listed, this mattress is designed to transition to toddler bed. 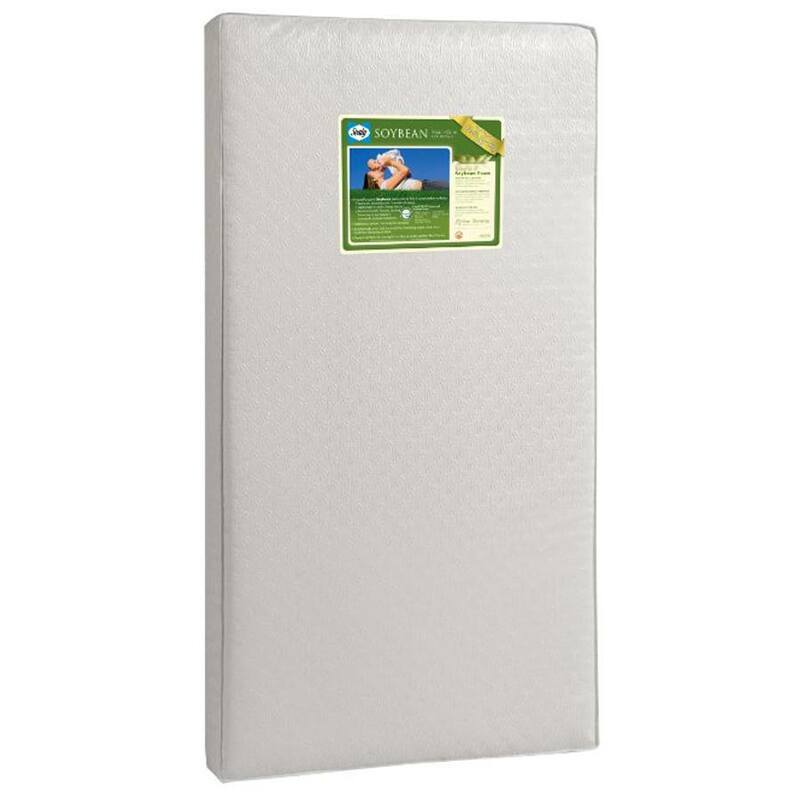 This crib mattress is a great choice for those that are in search of a high quality memory foam mattress that provides extra firmness and great resistance against bacterial build up. Extra-firm support suitable for infants. Cover is lightweight, waterproof and can be removed for easy to wash.
Square corners provide a snug fit. Has a generous warranty of 10 years. The mattress is quite heavy. Ensure the corners of the mattress fit in snugly to prevent any warping in the long run. Remove and clean the cover occasionally. You can wash it by hand using soap and water or put in a washing machine. Ask about the best memory foam mattress toppers and you’ll never miss to hear the name Milliard. This is a giant manufacturer of mattresses, who’s quality craftsmanship is felt across the world. It’s a reputable brand known for its 2-Inch Ventilated Memory Foam Mattress Topper. This is a superior quality topper designed to provide maximum comfort for your child. * Materials: The mattress is constructed of 100-percent memory foam. It comes with a zippered waterproof cover made of 65-percent cotton. The cover sports a non-slip bamboo surface. * Level of Comfort: The mattress provides a cushioning support designed to conform to the natural body contours of your child. It’s ventilated to facilitate airflow and provide easy temperature regulation during sleep. 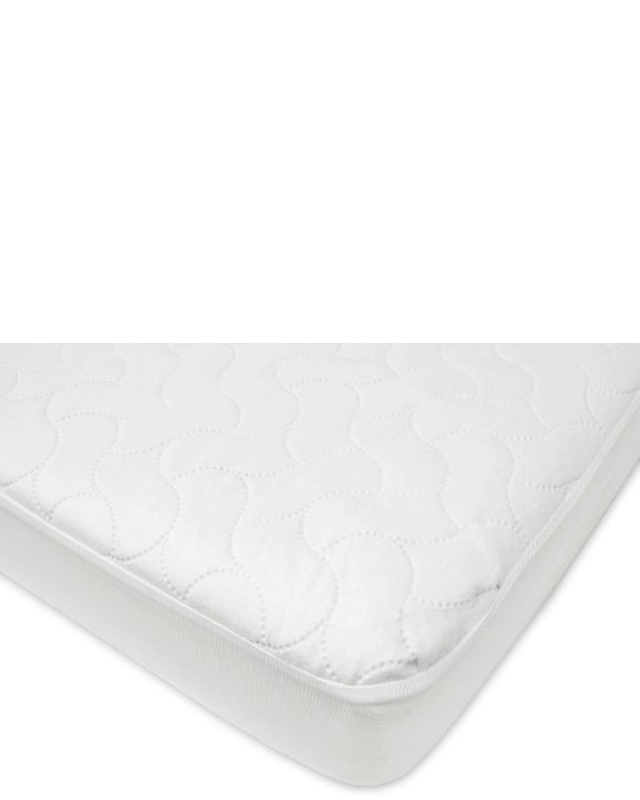 * Safety: The memory foam is CertiPUR-US® certified and free of toxins and harmful chemicals. What’s more, the cover is also hypoallergenic. * Size: The mattress measures 51.5 inches long by 27 inches wide, which is a good size for baby cribs and toddler beds. * Thickness: This mattress measures 2 inches thick. * Weight: The mattress has an ultra-lightweight construction of 4 pounds. * Weight Limit: Though not stated, the manufacture outlines that the mattress is designed to transition to a toddler bed. This topper suits those that are looking for a thin crib mattress that has a quality that exceeds those of the high-density mattresses. It’s also ideal for those that are looking for a mattress that provides the convenience of easy care and maintenance. Ultra-lightweight construction for easy flipping and maneuvering. Contoured to eliminate tossing and turning during sleep. The mattress doesn’t lose shape. Ventilated for sleep temperature regulation. The cover is waterproof and non-slip. Air out the topper after a few days of use to help speed up the elimination of the smell. Airing will also help prevent the cover from turning yellow with time. The cover needs to be washed by machine and dried before use. Kolcraft is a brand known for the affordability and quality of its mattresses. It’s a household brand that has become one of the favorite among millions of parents across the world. Cozy Soft Portable Crib Mattress is among its top models – a crib mattress designed to give your little angel the ultimate sleeping experience. Materials: The mattress is made of a thick polyester material. It comes with a reinforced, waterproof embossed cover. Level of Comfort: The mattress provides a firm yet comfy support designed for newborns. Safety: The mattress is hypoallergenic and free of lead and phthalate. It’s designed to exceed all flammability standards. Size: The mattress measures 38 inches long by 24 inches wide, a size that fits portable cribs. Thickness: This crib mattress is 2.5 inches thick. Weight: It has an ultra-lightweight design of 2.1 pounds. This mattress is a great choice for parents looking for a portable crib mattress designed for use while on the go. It’s a good choice during travel or camping. Ultra-light and portable for use on the go. Flat strapless design for enhanced safety. Doesn’t fit portable cribs larger than 24.5 x 38.5 inches. Avoid using the mattress with soft sided playard. The mattress is designed to clean easily. Just wipe it with a damp cloth and you’re good to go. and easy to clean and dries quickly. 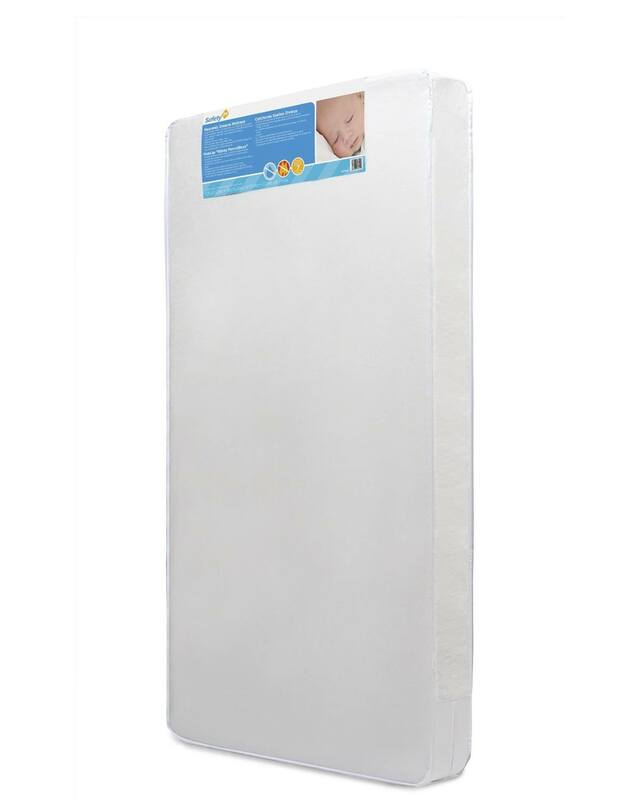 This crib mattress cover provides one of the best protection. The cover is designed to be 100-percent waterproof to protect the mattress from liquids and stains. It’s great hypoallergenic properties work to keep off mites, bacteria, allergens, mildew and molds. The cotton terry cover provides a soft surfaces that is noiseless for extra comfort. It retains the feel of the mattress and wicks away any moisture. The cover is durable, easy to clean and dries quickly. Machine wash is recommended for this cover. It measures 28 in x 52 inches and fits crib mattresses up to 6 inches thick. Easy to fit and take off. This cover provides the comfort and classic look of a quilted design. The bottom and top layers sport a polyester construction. The middle layer is made of 100-percent vinyl for quality waterproofing. The cover measures28 inch x 52 inch x 9 inches, a size that provides a perfect fit for crib mattresses measuring up to 6 inches thick. The corners are reinforced and sport an elastic construction that provides easy, snug fit. The cover is dryable and designed to be washed by machine. Doesn’t hold up well during wash.
Sealy is a trusted American brand that has many years of experience in the manufacture of baby products. Among its line of crib mattresses is Soybean Foam-Core – a mattress that has been specially engineered to provide the most comfort and safety to your little angel. This is a crib mattress that has been voted the best for the baby. * Materials: The mattress is made of 100-percent soy foam. However, the label indicates 73-percent polyurethane, which leaves about 25-percent for soy foam. The mattress comes with a pearl embossed waterproof cover. * Level of Comfort: The mattress provides ultra-firm durable support ideal for infants and toddlers. It’s breathable for extra comfort. * Safety: The mattress is natural and non-toxic. * Size: The mattress measures 51.63 inches long by 27.5 inches wide, a size ideal for cribs and toddler beds. * Weight: The mattress weighs at 8.3 pounds. * Age and Weight Limit: This mattress is recommended for infants and toddlers who are not more than 4 years old. It has a weight limit of 60 pounds. This crib mattress is an ideal choice for those in need of a luxurious, high-end mattress that is ultra firm and Eco-friendly. It’s a great choice for parents looking for a mattress that will fit both a crib and toddler bed. Has sturdy edging for maximum durability. It’s a dual-purpose mattress designed for infants and toddlers. The mattress shouldn’t be used by children who are past the recommended weight of 60 pounds. This will help keep the mattress free of any dents. The mattress is designed to wipe clean using mild soap and water. Getting the best crib mattress is an important step for any parent. The selection process can be quite fun and difficult at the same time. A small mistake may make you end up with a mattress that you’ll live to regret. So what’s the way out when it comes to choosing the best crib mattress on the market? 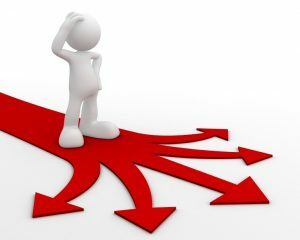 Well, there are some factors that you need to consider prior to making your purchase. This will ensure that you get the best possible quality at a reasonable price. Many people will tell you that quality is expensive. However, that’s not always the case. You can get a cheap crib mattress that performs just as good as the other expensive models. Therefore, get the best quality that falls within your budget limit. You’ll be surprised to get quality crib mattresses for as low as $20.00. How many brands of crib mattresses do you know? Probably 10 or even more. However, that doesn’t matter a lot. The most important thing to ask yourself is – what brands are the most trusted and known to provide quality products at competitive prices? There are a few brands in this category known for their superior quality. These include Kolcraft, Milliard, My First Mattress, Safety 1st, among others. A good product is the one that has a warranty. And crib mattresses are no exception. Different manufacturers have different warranties on their products. But you shouldn’t be surprised to find a product that doesn’t come with any warranty. Crib mattresses devoid of any warranty should be avoided at all costs. Ensure that the mattress you go for has a warranty to cover any defects in materials or poor craftsmanship. A warranty is an assurance from the manufacturer regarding the superior quality of the machine. This will help you get a quality mattress that is worth the price paid for. Size is a major consideration factor. One mistake and you’ll end up with a crib mattress that doesn’t fit. It’s good to first take the dimensions of your baby’s crib to know the exact size of the mattress that will fit perfectly. Size can also be in terms of weight. In case you want a crib mattress that provides hassle-free maneuvers, then a lightweight mattress should be the one to go for. The durability and performance of a crib mattress depends heavily on the type of cover used. It’s good to go for a durable cover that provides the convenience of a waterproof construction. Consider a cover that has excellent hypoallergenic and anti-microbial properties. It should be resistant to stains, tear and fading. The cover should also provide the convenience of hassle-free cleaning for easy maintenance. There are many best crib mattresses reviews on the web. But most often, the information provided is quite unreliable. That why you need to read customers reviews, especially from reliable and trusted sites, such as Amazon. From these reviews, you’ll be able to get a clear picture regarding the advantages and disadvantages of each crib mattress. With such information, you’ll be able to make a wise decision. A crib mattress cover is of great importance. It provides ultimate protection to ensure that the mattress lasts for longer. Like crib mattresses, there are also multiple choices in crib covers. The large numbers of covers make it quite challenging when it comes to the selection process.That is why I have decided to narrow down to two of the most popular and high quality covers available on the market. Below we compare the two quality crib mattress covers. We’ll discuss the most outstanding features that you get for the money. Moreover, we’ll be outlining the pros and cons of each model. This will help you make a wise decision in your purchase. The above reviewed models are one of the best that the market has to offer. But then, there’s one that truly performs above all the others. This is no other than Milliard 2-Inch Ventilated Memory Foam Crib/Toddler Bed Mattress Topper. It’s a superior quality ultra-lightweight mattress that provides a more luxurious and comfortable sleep. It supersedes the high density construction and has top-quality water resistant properties. It’s a mattress that provides the comfort of a regulated temperature mechanism to ensure your baby is healthy and well protected. Moreover, this mattress is the most highly rated by customers. There are lots of questions asked by customers regarding the quality, features and performance of crib mattresses. Below, we look at some of the most outstanding questions and the answers given. This is to help you in case you have any queries related to the questions below. Take a few minutes of your time to go through them and find the ones that might concern you. Q: Are crib mattresses made for newborn infants? A: Yes, they can be used by newborn infants. Q: What’s the average weight supported by a crib mattress? A: On average, a crib mattress supports about 50 pounds. Q: What does the term hypoallergenic mean? A: Hypoallergenic means that the particular crib mattress doesn’t trigger allergies. Q: Can a crib mattress be rolled up for storage or travel? A: Well, that depends on the thickness and flexibility of the mattress. Q: Does a crib mattress sport a harness mechanism? A: Yes, some models come with a harness system that includes straps and buckles. Q: How do you eliminate the smell in a new crib mattress? A: Smell is best eliminated by airing the mattress outdoors before use. Q: How do I know if the mattress will fit the crib perfectly? A: The best way to know that is to first take the measurements of the crib before purchasing the mattress. Q: Can I get a crib mattress that’s suitable for travel? A: Yes, there portable models that can be used while on the go. Q: How many types of crib mattresses are there? A: There are two main types; innerspring and foam mattress. Q: Can a crib mattress fit a toddler bed? Paul Kewell got his M.D the University of Michigan Medical School in 1994, and has been an accomplished medical practitioner ever since. With a passion of technology, Paul often followed the recent discoveries and technology innovations that might help people achieve better health and safety.